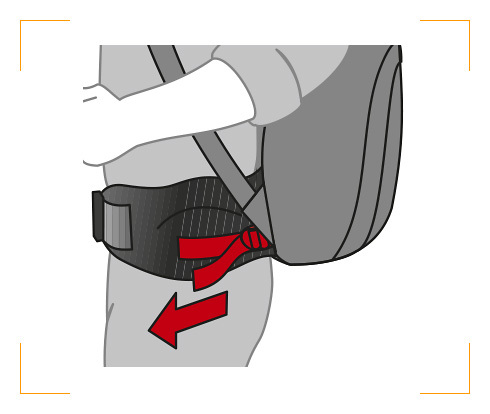 The closer heavy objects are to the body, the easier it is to put a backpack on and to balance it while carrying. Heavy objects should be placed over lighter objects at shoulder height. 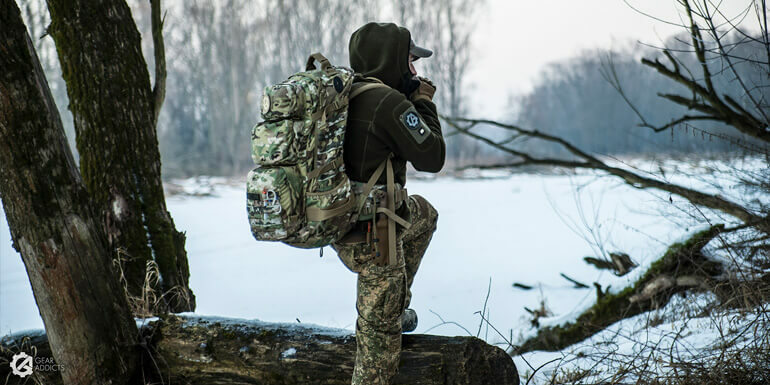 Only the basic necessities should be carried on the outside, but a variety of our backpacks provide practical attachment possibilities for attaching things to the side, such as tent poles. A sleeping bag belongs in the bottom compartment. 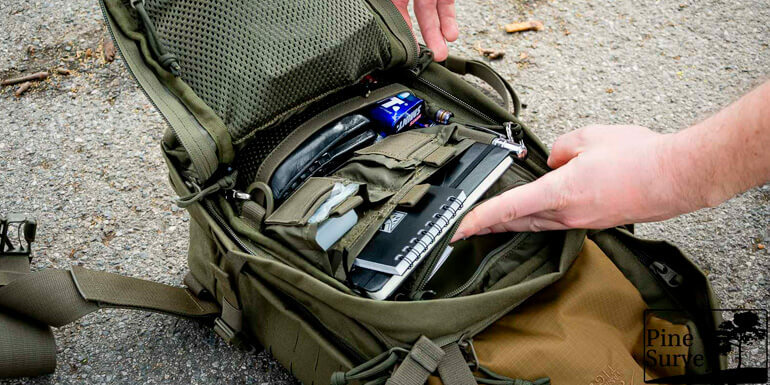 Stuff sacks keep everything organized for stowing in the main compartment or side pockets. 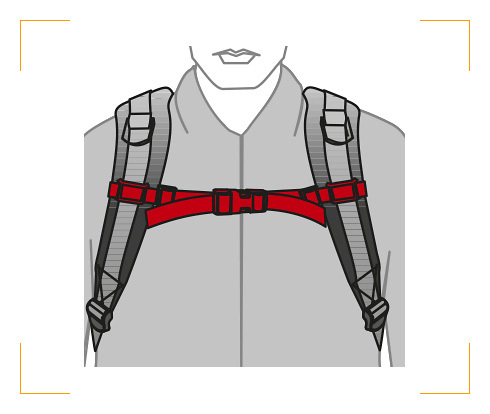 Loosen the shoulder straps and lift the backpack by the handle to leg-height and slip your arms into each shoulder strap one by one. 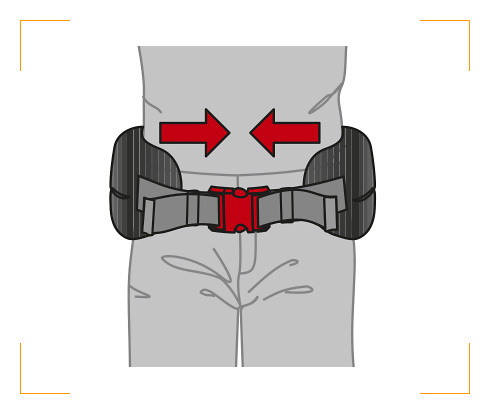 Always fasten the hip strap before tightening the shoulder straps: the middle of the hip strap should be in line with the hip bone. 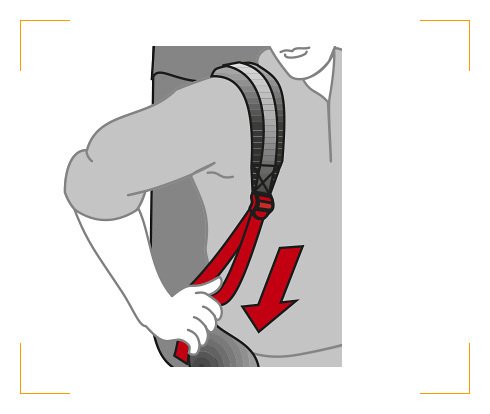 After adjusting the back length, moderately tighten the shoulder straps. 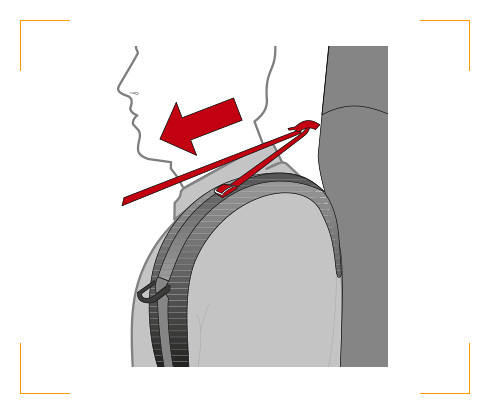 Affix load control straps in the collarbone area at an approx. 20 – 30° angle. 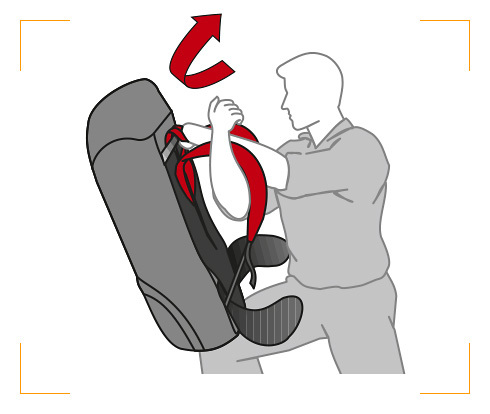 Hip strap improves horizontal load control.